Summer times call for grilling. 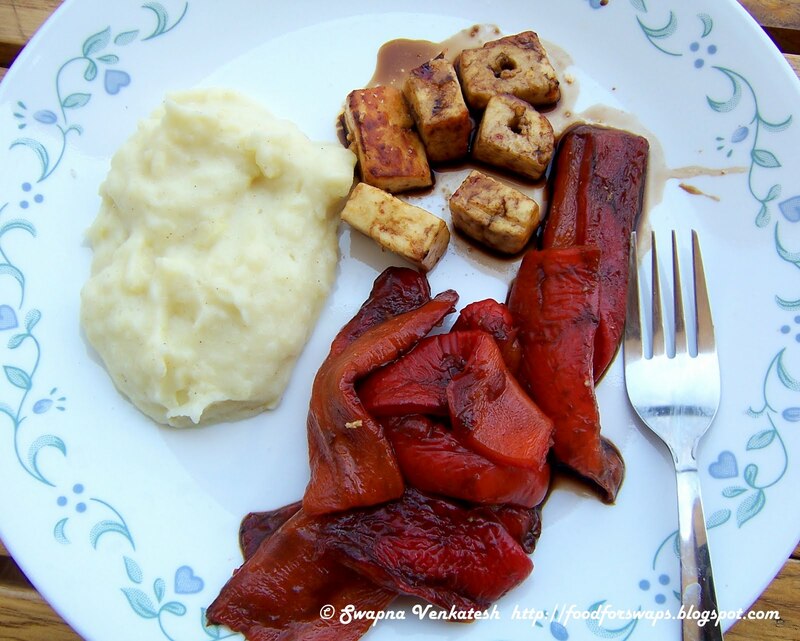 While most people can’t think of anything other than meat to toss onto a grill, I say give some veggies a chance – especially red peppers. Don’t worry if you don’t have an outdoor grill, I make mine on an indoor one (with the window open!) and it tastes just as fine. Its funny how the heat makes peppers change their nature – they go from pungent to sweet! Just peppers for dinner might not sound satisfying right now, but I assure you – serve it with some mashed potato, feta and green salad and you have the most refreshing summer meal! Cut each pepper into quarters; remove seeds and stems. Place skin side up under a preheated grill. Cook until skin blisters and turns black (about 15 mins). Cover peppers with a clean damp tea-towel and allow to stand for 5 mins. Peel away skin. Cut pepper pieces into 2 cm strips. Combine olive oil and balsamic vinegar, whisk. Place pepper strips in a small bowl, pour oil mixture over and marinate for an hour in the refrigerator. Serve with green salad and cubed feta cheese. P.S. 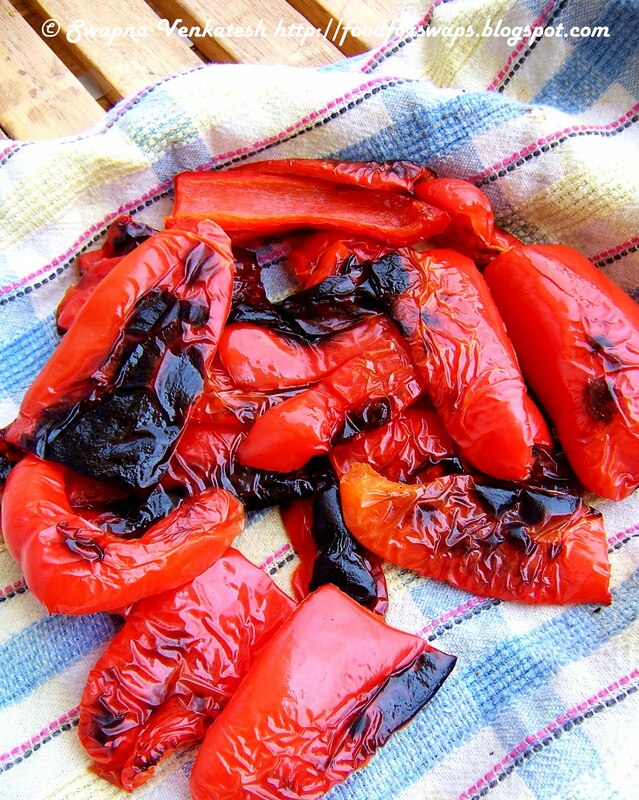 Roasting or grilling peppers and peeling off the skin removes bitterness and intensifies the sweet flavor. You can roast a large amount at once and preserve in oil. There’s a fantastic pepper pate recipe I will share soon for the leftover grilled peppers.